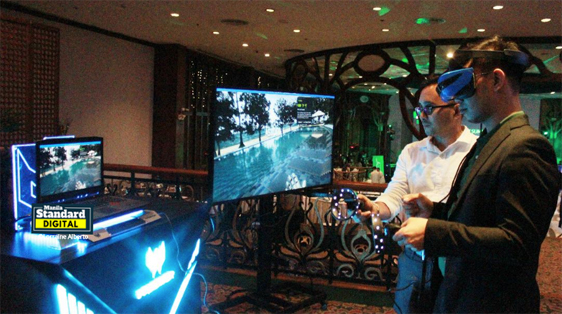 Acer Academy, Acer Philippines’ exclusive client program headlining educational advocacies, held this year’s 6th iteration of the Acer Academy Summit bearing the theme “The immersive wonders of VR and MR in today’s learning,”attended by over 130 partner schools around the country at the Manila Hotel recently. With the use of a headset, a compatible Windows PC and an advanced pair of motion controllers primed for an inexpensive and uncomplicated immersive experience, the system called Acer Windows Mixed Reality Solutions will project a simulated environment that will revolutionize the way students perceive education and conduct learning. “It’s important to integrate mixed reality solutions with our educational system to help educators understand how using VR (virtual reality) and MR (mixed reality) can make learning more fun and engaging for their students,” said Wong. Last year, Acer Academy highlighted the information technology (IT) industry and education sectors on data privacy and education modernization, while this year, the summit was graced by Microsoft PH, IAmCardboard PH, Quiddity and Mobext, who gave insights on immersive technology’s role in global development and educational utilization. “Every year we make it a point to create something new to them, very relevant to the education sector. We don’t want to just present our product, we always want to make it a point that there’s something for them to learn,” said Carren Garcia, Senior Manager for Commercial Sales Acer PH. Acer Academy has been a strong force behind the adaptation of the digital classroom innovation concept in the country by digitizing teaching tools and helping educators utilize effective teaching methods since 2012.